TEGUCIGALPA: Clementina Murcia is packing gifts as she prepares to set off from the heart of Honduras on a 4,000-km journey that will end in Mexico – and a meeting with the son she hasn’t seen for 17 years. Other mothers will carry only photographs and hope to aid their search for long-lost relatives. Murcia and about 15 others from Honduras will be leaving the country on November 28 to join the annual Caravan of Mothers of Missing Migrants in Mexico. Apart from looking for their relatives, they will campaign to raise awareness about the violence illegal migrants face and lobby for more humane migration policies. Murcia’s son, Mauro Orlando, is among the thousands of Hondurans who take the illegal migratory route through Guatemala and Mexico towards the US in the hope of a better life. The country, which will go to the polls to choose a new president on November 26, is among the few with the highest murder rate outside a war zone. Poverty, unemployment, drug crime and gang violence force people to make the illegal journey north. Along the way, they could be arrested, kidnapped by gangs and sold into slavery or prostitution, die, be disabled, or just disappear. Families left behind in Honduras often have no news for decades. “Just the fact that the mothers can hug their children again will be wonderful,” says Rosa Nelly Santos Navarro, 61, coordinator of Comite de Familiares de Migrantes Desaparecidos de El Progreso (Cofamipro or El Progreso Committee for Disappeared Migrant Relatives), a non-profit that started as a support group in 1999. “Our government does not help us trace the missing, we have to do it ourselves. We will try to go to jails, detention centres, shelters and hospitals to see if any of the disappeared people in our records are there, and meet senators and government officials,” she says. Some mothers will collect the bodies of their children from Mexican authorities, the end of years of waiting, paperwork and forensic tests to establish identity. “This is not an easy task for a mother,” says Navarro, who joined Cofamipro to trace her nephew who was missing for 18 years. This year, 45 mothers from Nicaragua, Honduras, El Salvador and Guatemala will join the caravan that will start from Chiapas in Mexico on December 1, and travel along the illegal migration routes before winding up on December 18, International Migrants’ Day. The annual caravans, organised by Mexico-based Mesoamerican Migrant Movement to highlight the fact that more than 700,000 migrants have disappeared in the last decade, is just the more headline-capturing moment of a daily struggle for many Honduran families. In Tegucigalpa, the capital of Honduras, a group of about 40 mothers – whose relatives have fallen off the map while trekking through the desert or waiting for coyotes (as paid agents are known) to smuggle them across the border – meets every month to share their stories, draw strength from one another, or just spend time together. “Many of the migrants have left behind three or four children. 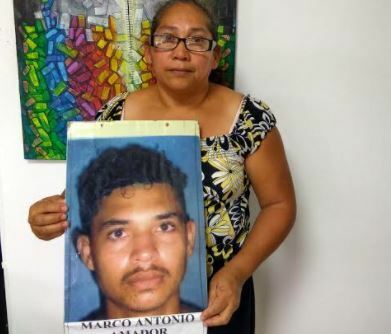 These mothers, many of them single, have to hide their pain and keep working so that they can look after their grandchildren,” says Eva Ramirez, coordinator for Amor y Fe (Love and Faith), the Tegucigalpa Committee for Relatives of Missing Migrants. “The meetings become a safe place where they are able to speak freely. There is a lot of sadness but also joy,” she says. Only four mothers in the group of 40 have found their children in the last 15 years. Ramirez started the group in 2000 after her sister had been missing for a few years. She joined the caravan that year, but it was a total of 17 years before she was reunited with her sister. “The worst part was that I had to lie to her four children every day, tell them she called at 1am when they were sleeping, so that they would not feel abandoned,” she says. Illegal migrants are often unable to call home as they work in exploitative conditions; some deliberately lose touch because they feel ashamed they have been forced to work as prostitutes, drug runners or worse on the journey north. Establishing links between families who have lost people is important because it creates a sense of community. “The group helps you realise you are not alone. At home, no one understands how much I miss my son. My husband says let him go, move on,” says Castro. “The counselling has helped me a lot. The psychologist gives us activities that make us laugh. Talking helps us understand and accept the uncertainty and the waiting, the endless waiting,” she says, opening a file to show a photo of her son, Marco Antonio, who would be 25 now. Similar committees hold meetings in El Progreso, San Pedro Sula, Choloma and other cities with support from non-profits such as Pastoral de Movildad Humana and Comite Internacional De La Cruz Roja (CICR) as International Committee of the Red Cross is known in Central America. The NGOs organise regular psychological counselling, health camps, workshops and activities for the mothers. “The humanitarian consequences of migration are the same as those in a conflict zone -disappearance, disability, displacement, fractured households and families, increased vulnerability of women and children,” says Francisco Javier Pavon Molina, communications officer, CICR. “There is no declared conflict in Honduras but it could have more victims of violence than a conflict zone,” he says. Shalini Umachandran is Senior Assistant Editor (News Features) at The Times of India. She writes on disability rights, urban issues, gender, migration, politics, environment and the arts, finding intersections between… Read More.